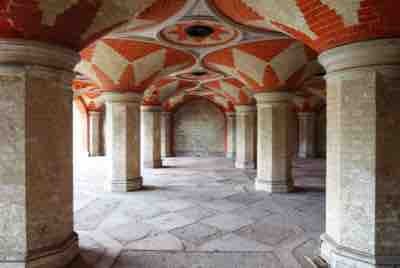 The Crystal Palace Subway is a stunning underground heritage site in London SE19. It was 150 years old in December of 2015 and it is holding up a 4 lane road between the Arqiva transmitter and the local bus station. The subway has a lively history from being built in 1865 as a subway from the high level station to the Crystal Palace to becoming an air raid shelter, a venue for ‘Subway Superdays’, illegal raves and filming for movies and TV. Please see our website for lots of info and some great stories from the subway. We have, with your help and other generous funders, completed reinstating safe pedestrian access on the Southwark side of the subway and we have now opened this side for two open house weekends with 3500+ visitors each year. Further donations will be used for other minor works and information for visitors. More importantly funds will be used as seed funds for activities or to pay for support for diverse members of the community to attend activities. What we need most now is help so if you would like to volunteer or have PR, finance, social media skills you can share with us please contact us via our website. Another successful open house this year with 3500 visitors. Thank you helping make it happen. We are now starting to plan community activities in the space so keep 11th nov (ticketed) and 9th Dec free (free!) and keep an eye on our website for more info. Today was our first open house London day since the new gate was installed. Last year was had 800 over the whole weekend through the other entrance. Today alone you have contributed towards 1848 people seeing the subway. Thank you from them and us. I forgot to say that as this isn't a public opening the site won't be signposted. The new gate is just past the bus stop on crystal palace parade heading towards the transmitter - on the opposite side from the bus station. In advance of next weekend's Open House we are testing the new access today and inviting you to be our Guinea pigs! With a max number per slot so you may have to queue/wait. Which is all part of our trial run. Please feel free to bring a friend or two but please do not share this info on social media. If we are inundated today and have inadequate stewards and equipment it may jeopardise next weekend's event. You will be asked to show this email as a ticket. Please wear closed toe flat shoes and anyone under 18 must be accompanied by an adult. Only assistance dogs allowed. We regret that there is no wheelchair or pushchair access to the subway. I can't go today do I need to register for the Open House or just turn up? Good luck with the soft opening! Will miss it unfortunately so look forward to hearing all about it soon. Just watched the subway documentary - thoroughly enjoyed it. Thanks for the preview. I managed to finally see the subway during the 2015 Open House, and hope to do so again in 2016. Today I was at the train station, which in itself is a beautiful piece of architecture. I have not so far been able to visit the subway on Ooen House weekend but I wish the campaign every success. If you raise the money, how open will the access be? Will anyone be able to visit within park open times any day?